Chinese lunar horoscope calendar by Sithzam on deviantART. 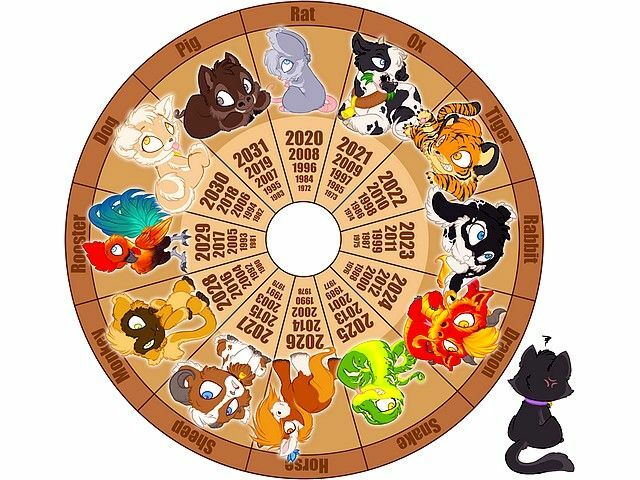 Each year of the zodiac corresponds to the lunar year, represented by the twelve animals by the order in which they managed to reach the opposite shore in the contest held by Chinese gods - rat, ox, tiger, rabbit, dragon, snake, horse, sheep, monkey, rooster, dog and pig. The cat have finished too late to win a place in the calendar.